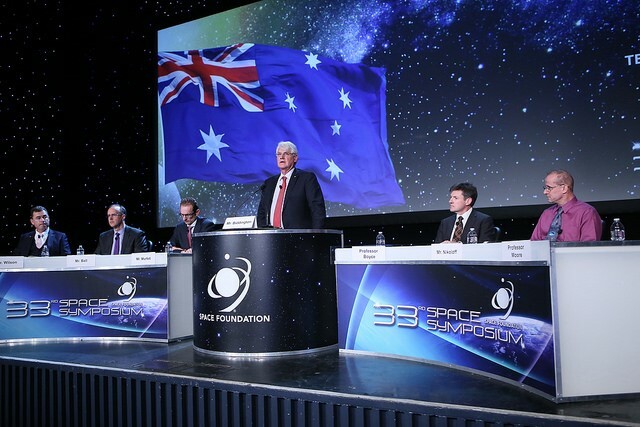 Shoal CEO, Shaun Wilson, today spoke as a member of the Space in Australia panel at the 33rd Space Symposium held in Colorado Springs, Colorado, an annual event hosting a myriad of international speakers and space leaders from industry, government, academia, and the military. 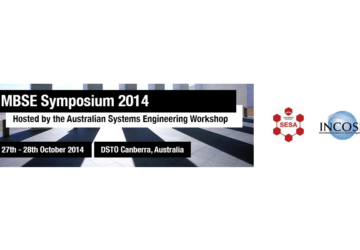 Peter Nikoloff, Executive Director and co-founder of the Nova Group in Adelaide. 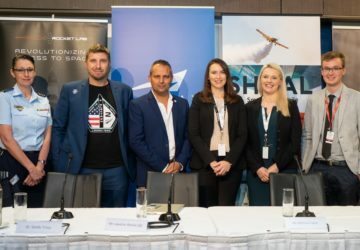 The panel discussed where Australia’s efforts are in space today, with Shaun stating that these are typically focused on ground segment and data processing with some limited research and development of in-space capabilities. The panel also discussed where the nation will likely be in three to five years and may be in ten years, with both rising threats, such as space debris, and opportunities, such as ‘small space’, playing strong roles in shaping the future. Images courtesy of the Space Foundation, host of the 33rd Space Symposium.